If you have never sourced graphic design work before, the process of going from a raw Word manuscript to a finish book ready for printing can be very confusing and a bit daunting. 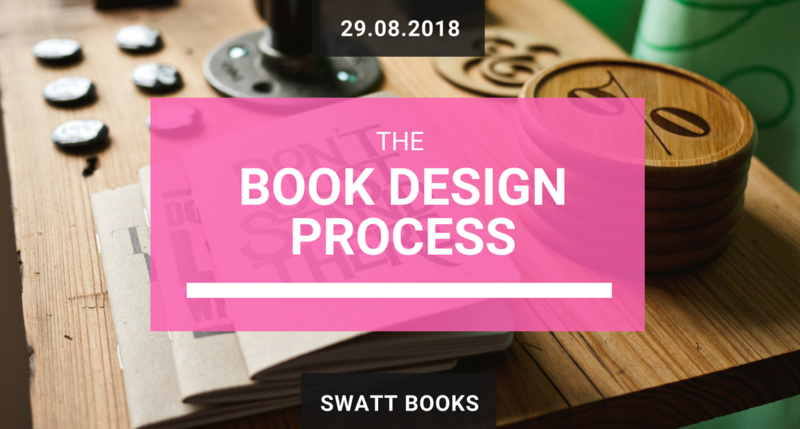 As knowledge is power, I think it is important to have a familiarity with the basic book design process that your designer will take your book through. It’s important to acknowledge that different designers will work slightly differently. At least after reading this article you will be able to hold an informed discussion with them about their workflow. Concept Development. Ideally you will have chosen a designer who doesn’t work from pre‐generated templates, so their first job is to come up with come concept layouts that incorporate the things discussed during the consultation. These concepts should give an indication as to page layout, text formatting, image treatment (if required), information hierarchy, and colour palette (if applicable). The designer will send you a number of options for you to consider and chose from. Depending on the terms of your contract with them, you may have the opportunity to request revisions prior to making a final decision. Template generation. Next your designer will take your chosen concept and expand it into a master template where every aspect that will be required to create your complete book will be standardised. Master pages will be created for all of your chapters and/or various page types; style sheets will be generated for every heading level and type of text that you book contains (i.e. quotes, call outs, bullet points, image captions, etc. ), as well as the formatting for any tables that your book may have. All of these things ensure consistency throughout your book. Typesetting. Now that all of the design decisions have been made, your designer can proceed with typesetting your book start to finish, including placement of any images, charts, or graphs that your book contains. Next the designer will add in any table of contents, index, and any references that may be required. Once the initial typesetting is done, a good designer will go back through the book and fine‐tune the formatting to eliminate any widows and orphans, and fix any awkward line and page breaks before sending you’re a PDF proof. Proofing. The terms of your contract with your designer will determine how many rounds of proofs you get to review before signing off your book; but you want to make sure that there is at least one. During this stage, the onus is fully on you to review the proofs provided by your designer as carefully as possible. Even though a professional will likely have edited your book by this stage, still take the time to read it through line by line again – you’d be surprised at what you can spot now that your book is in a different format. Each designer will have a preference as to how they want to receive amendments back, but the best way is to make notes directly in the PDF using the Comments tools that are available in Adobe Reader or Acrobat Pro. If you’re not sure how to use these tools, ask your designer. Cover Design. Some designers will prefer to do the cover design first; others will save it for last. Neither way is right or wrong, my only preference for doing it first (or at least in conjunction with the interior concept development phase) is that you have it fairly early on in the process to use in pre‐launch marketing activities. The process for designing your cover is pretty much the same as for the interior. Your designer will present a number of concepts for your consideration, and after some back and forth with suggestions and revisions, you’ll end up with a final front cover that your designer will expand on to generate the back cover and spine art. Final Export. Once all designs are finalised and you are satisfied with the results, it’s time for your designer to export the approved artwork into press‐ready PDF files that comply with the technical specifications of your book and the requirements of your printer or publisher. Not all books are suitable for the ebook format (such as image intensive art books), but you should always consider having an ebook edition of your book available as it increases your potential book sales. 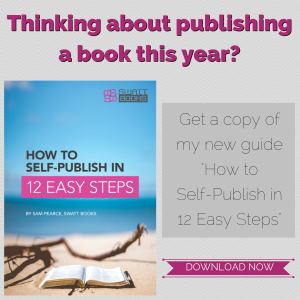 There are a few different types of ebook which you should be familiar with before you start any ebook process, as there are some considerable differences. The first is interactive PDF. This is a PDF document where any references, links, table of contents and indexes have been converted into active hyperlinks that the reader can click on. The layout & formatting will appear identicle to the print version of the book, and the reader is unable to alter the sizing of the text or images in any way other then being able to zoom into the page as a whole. Though not technically an ebook format, interactive PDF’s have started to get lumped into the ebook pot due to the prevalence of free lead‐magnet style ebooks being delivered in PDF format. These types of ebooks are the easiest to create from the print artwork you already have and most designers will usually include the option free of charge. The second, and most common format is Reflowable Epub. This format is basically a hybrid between your original manuscript and a website. It uses a slightly condensed version of HTML and CSS as it’s coding language to determine how formatting appears. A really good ebook designer will be able to replicate the design style of your print book fairly closely, however be aware that, as with a website, the final appearance is governed by the settings on the reading device. This means that the reader can alter the font and text size to suit them, making your book potentially look quite different from what you intended. Another aspect to note about reflowable Epub format is that due to the reader being able to alter the size of text, page numbers are no longer relevant; hence the “reflowable” part of the name. Text can be split into chapters and sections, but within a chapter or section, the text is one continuous page. The third ebook format is Fixed Format Epub, and is basically a hybrid between PDF and Reflowable Epub. Pages are fixed to look exactly as they do in the print artwork, but are generated using Epub coding making them compatible with most later generation eReaders. This particular format is not very popular due to it’s lack of support from older devices and it’s fixed layout nature which makes it difficult to read on smaller screens. I would only recommend using this format if the overall layout of each page is somehow vital to the usability or readability of the book. The final ebook format is MOBI. This format is almost identical to reflowable epub, however it is proprietary to Amazon for use on Kindle only. When you submit an epub to Amazon for listing on the Kindle Store, it is converted to MOBI format. Likewise MOBI format is not readable by non‐Amazon ebook readers such as Nook or Kobo. Now that you understand the different ebook formats, how do you go about creating one? The answer is you convert it from what you have already. If you are only wanting to publish your book as an ebook, you would convert it from your Word manuscript once you are finished writing and editing. However the majority of authors will want to publish thier book in both print and ebook formats, in which case you convert the eBook from the completed print ready artwork to ensure as much similarity between print and ebook editions as possible. In either instance, be aware that just exporting the artwork or manuscript to epub format is not the end of the story. Though programs like Word and InDesign are capable of exporting directly to the epub format, the resulting code that is generated can be very clunky and can result in parts of your book not rendering properly or even not at all causing errors. To generate a good quality ebook, you will need to open your exported epub in an ebook editor such as Calibre or Scribe. These programs will allow you to edit and tidy up the code generated by Word or InDesign to make it cleaner and more efficient. I would however advise that you have a basic understanding of HTML and CSS style sheets before attempting this yourself, as you can end up making one hell of a mess of your book. This is where your designer comes back into play. If you chose a good designer to create your print artwork, they should also be able to do the conversion and tidying up of your ebook for you. 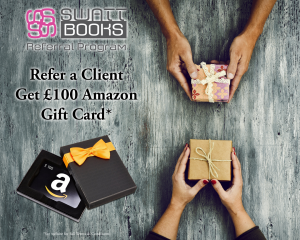 As well as perform all the necessary testing to make sure your ebook works on various different eReaders such as Kindle, Nook, Kobo, and iBooks, as well as smart phones and tablets. If they aren’t able to do this as part of the design process, then you may need to find an eBook specialist to do the conversion for you. Personally, I would make ebook conversion knowledge part of the selection criteria when looking to hire your book designer. To learn more about how I can help with your book design process, check out my Book Design service here.